Jinping Xu, M.D., an associate professor of Family Medicine and Public Health Sciences for the Wayne State University School of Medicine, has received a $15,000 award contract from the Patient-Centered Outcomes Research Institute to support the first phase of a project that will explore shared decision making for prostate cancer screenings. 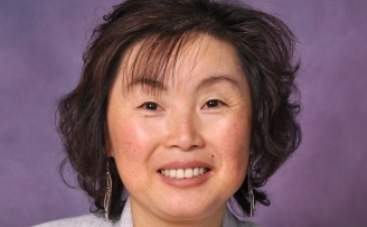 Dr. Xu, a family physician with the Wayne State University Physician Group, will use the funds to build a partnership of individuals and groups who share a desire to advance patient-centered outcomes research. PCORI's Pipeline to Proposal Awards program enables individuals and groups not typically involved in clinical research to develop community-led funding proposals focused on patient-centered comparative effectiveness research. The program funds three award tiers that help individuals or groups build community partnerships, develop research capacity and hone a comparative effectiveness research question that could become the basis of a research funding proposal to submit to PCORI or other health research funders. Prostate cancer is the most commonly diagnosed cancer in men, and African-Americans have the highest incidence and mortality rate of those with the disease among all racial groups in the United States, Dr. Xu said. The prostate specific antigen, or PSA, screening for early detection is controversial. The United States Preventative Services Task Force issued new recommendations in 2012 against Prostate-Specific Antigen screening of healthy asymptomatic men, asserting that it caused more harm than benefit, primarily because of overtreatment. The new guideline sparked intense media coverage and a national debate on medical decision-making and the benefits of active surveillance as an appropriate management strategy for low-risk localized prostate cancer to decrease the harms of overtreatment. "As a result, most expert groups recommend shared decision making. Although primary care providers feel that shared decision making is appropriate regarding PSA screening, there are numerous barriers for this conversation to occur during real-world clinical practices," Dr. Xu said. "Lack of time, difficulty eliciting a patient's values and preferences, and a perceived inability to adequately inform patients about complex decisions are some of the barriers to shared decision making from a primary care provider's perspective." Previous decision aids for PSA screening for patients have been reviewed, but few studies involved clinicians and patients in the shared decision making in PSA screening. "We propose to engage our patients, primary care providers and other stakeholders such as family, community and payers, in cultivating strong relationships among key stakeholders and researchers to identify research questions and goals they consider truly important," she added. PCORI is an independent non-profit organization authorized by Congress in 2010 to fund comparative effectiveness research that provides patients, their caregivers and clinicians with the evidence needed to make better-informed health and health care decisions. "The Pipeline to Proposal Awards program is a manifestation of PCORI's commitment to the meaningful involvement of patients, caregivers, clinicians and other stakeholders in all our research endeavors," said Jean Slutsky, P.A., M.S.P.H., PCORI's chief engagement and dissemination officer. "It provides support to those who may not otherwise have an opportunity to contribute to the field of comparative effectiveness research. We're pleased to follow the awardees' progress as they develop partnerships and begin to form research questions."